VIX and More: One Year Blogiversary! 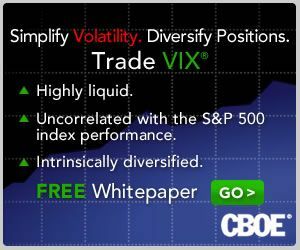 Today marks exactly one year since I decided to launch VIX and More as a place to archive some of my thinking on volatility and the markets. There have been times when I would have been better served to spend additional time and energy to do more research, analysis, system development, etc., but on balance, having a blog has been more fun than work and the exchange of ideas via comments and e-mail has had a positive impact on my trading. BuyWrite Index as a Timing Tool? Congrats to you, my dear friend! Keep up the good work you do over here. It is very much appreciated! I would be happy to send more as you do an excellent job! Keep up the great work in '08! Will a 29.30 VIX Placate the Crowd? Can the Markets Bottom Without a VIX Spike? Selloff Overdone Prior to FOMC Minutes Release? Sector Clues in First Hour of 2008?